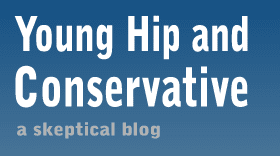 Young, Hip and Conservative: a skeptical blog: Wait, ALL of them? At the same time? There's a stir today because last night at the overhyped NBC New Year's Eve show singer Cee-Lo Green covered "Imagine" by John Lennon and reversed one of the lyrics. Instead of telling people to imagine "Nothing to kill or die for, and no religion too" he requested people picture "Nothing to kill or die for, And all religion's true." People always got the image I was an anti-Christ or antireligion. I'm not. I'm a most religious fellow. I was brought up a Christian and I only now understand some of the things that Christ was saying in those parables. Because people got hooked on the teacher and missed the message. But what's important here is that Cee-Lo did the secular community a favor. Take a moment and imagine that every religion is true. All of them. It's a mess. You've got Muhammad and Quetzalcoatl fighting the Titans in Valhalla while Vishnu commands the Taurus bull. The Galatic Overlord Xenu is dodging djinns and Anubis to tempt Jesus in the desert before he breeds with giant Aryan women to bring them down to size. Who's in charge here, Ra, Jehovah, Zeus or Taiyang Shen? Can the light side of the force prevent Cthulhu from bringing Ragnarök to the world, which is made from the dead dragon Tiamat, or will the ancestral spirits and great mother turtle have to create a new one. Do faeries have chakras? All religions being true would be like a Marvel-DC crossover, only with more unnecessary violence and less plausibility. What could be a better recruiting drive for atheism than for people to start 2012 by imagining a series of mutually-exclusive mythologies and folk tales competing for space in the same realm? Highly original, wacky, yet relatable content: this is why I read your blog. This is my new favorite entry.